Gâteau aux carottes | Life in Paris with a limited wardrobe. When I was a wee-little thing, I had carotenemia. I love carrots and sometimes you just need carrot cake, unfortunately it’s not done that often in France. However, I have found bakeries that do serve the (somewhat) healthy nutty goodness. 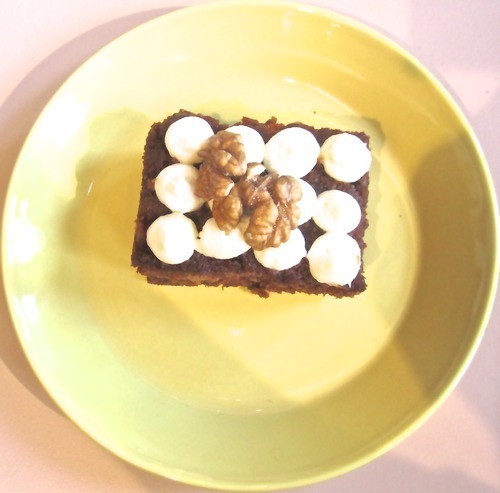 After doing some delicious research I’d like to share my favorite places in Paris for carrot cake! It’s a favorite among the staff and family at Sugar Daze. 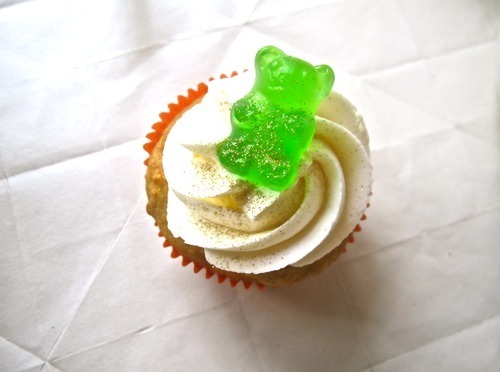 If you need another reason, it comes with a gummy bear on top. Is this what they serve in Heaven? Seriously, what isn’t good here? It’s like a work of art! One day I decided to attempt to make my own. I think it turned out pretty good, for my first time…I see more carrot cake à la Lauren in my future! Got any suggestions? bonne appétit! 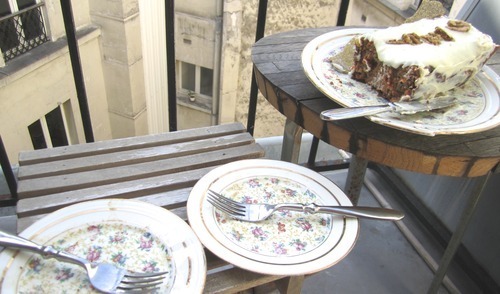 This entry was tagged cafecoutume, carrotcake, Paris, pariseats, sugardazecupcakeparis, yum. Bookmark the permalink.